At the beginning of the year I mentioned my word for 2014 is serve. 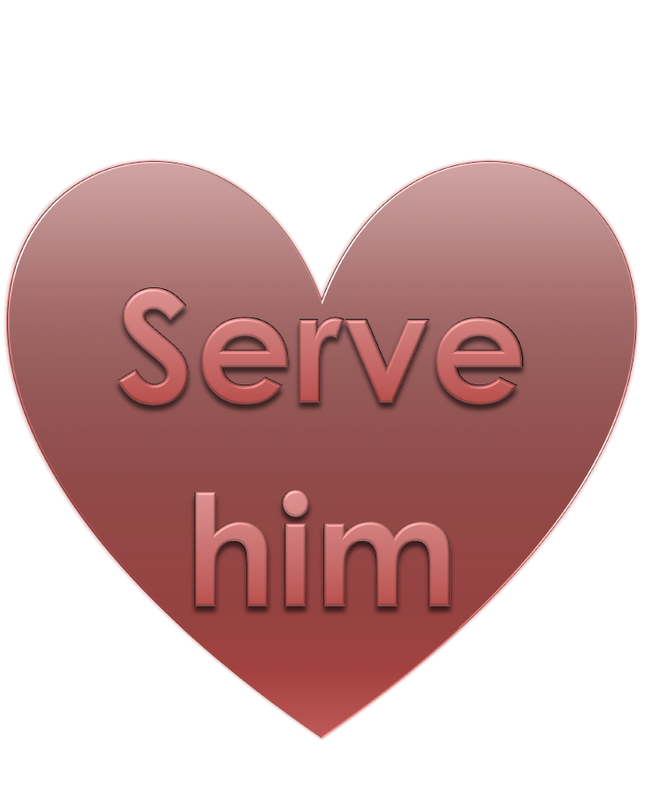 This is part two of my Serve him series. It started with Serve him part one: Pray. We so often think of serving others with our hands, by doing things for them. However, everyday we have the opportunity to serve others with our words, especially our husbands. With your words, you can build your husband up or tear him down, both to him and to others. Today I’m talking about serving him through our words to others. Choose your words (and your audience) carefully. We’re all pr0bably familiar with Ephesians 4:29. Often the focus is on the first part of the verse though, when the end (…that it may benefit those who listen.) is just as important. When talking about someone, whether good or bad, usually the person being discussed is thought to be the person helped or harmed. That’s not the whole picture though. When you speak of your husband, you have the opportunity to not only build up his reputation but to also set an example for those listening of how Christians view and speak of their spouses. I think women especially have a tendency to unintentionally tear down their husbands to others, under the guise of “venting” usually. This can be a dangerous practice though. The next time you start to vent about your husband to a friend, stop and ask yourself these questions first. 1. Am I complaining or am I seeking counsel on an issue I’m not sure how to handle or resolve? Complaining isn’t going to do anyone any good. In fact, it will probably only make you feel worse. And the listener isn’t likely to forget the harsh things you say about your husband. Their view of him will always be tainted by that. When I start to complain about something, Philippians 2:14 and 15 come to mind. Do everything without grumbling or arguing, so that you may become blameless and pure, “children of God without fault in a warped and crooked generation.” Then you will shine among them like stars in the sky. Don’t point out his flaws to others just to complain. How would you feel if you heard he was speaking poorly of you to his friends? Be kind. Don’t boast. Don’t keep records of wrong doings. Remember 1 Corinthians 13:4-7. 2. If I am seeking advice, will this person have a worldly view or a biblical view of the issue? And will they be honest with me if it is something I need to fix in myself? Choose your audience wisely. I’ll say it again. Choose your audience wisely. You don’t want to receive (and use) poor advice from someone who doesn’t have a biblical view of the issue or marriage. You also don’t want to set a poor example of how other women should treat their husbands. I promise, people are watching you more closely than you think. 3. If they’re a trustworthy Christian friend, and I am seeking advice, how can I word it so that I’m not making my husband out to be the bad guy who never does anything right? Is there an aspect of the issue where I am at fault and need to work on or ask forgiveness for? Serve your husband by protecting him with the words you speak to others. Bring him good, not harm. Thanks for the comment! I’ve been working on that too. Easier said than done, but worth the effort! Thank you for sharing the truth, and for the challenge! I agree, it’s definitely easier said than done and requires constant work and supervision of the tongue.